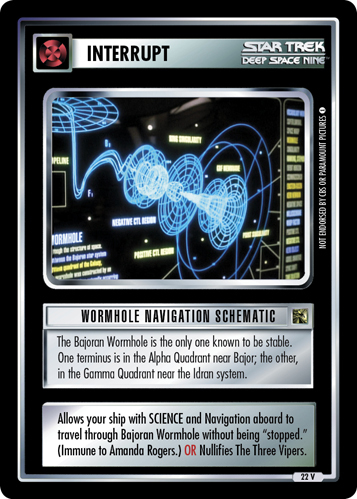 The Bajoran Wormhole is the only one known to be stable. 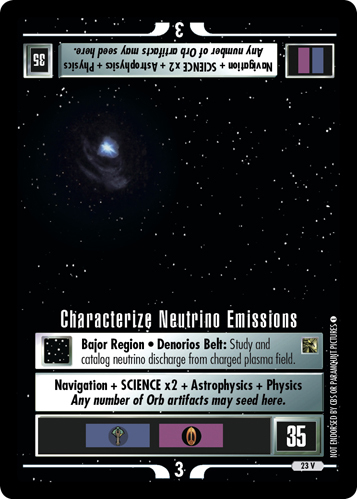 One terminus is in the Alpha Quadrant near Bajor; the other, in the Gamma Quadrant near the Idran system. 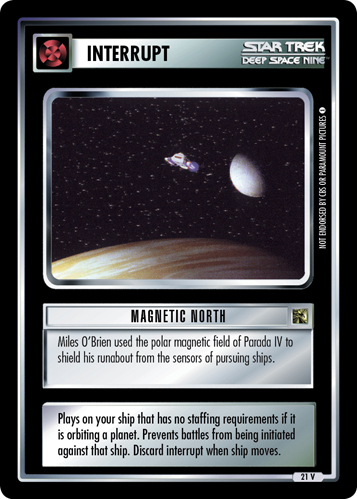 Allows your ship with SCIENCE and Navigation aboard to travel through Bajoran Wormhole without being "stopped." (Immune to Amanda Rogers.) OR Nullifies The Three Vipers.